Description: A general service problem Ishikawa diagram template is readily available for download and print. 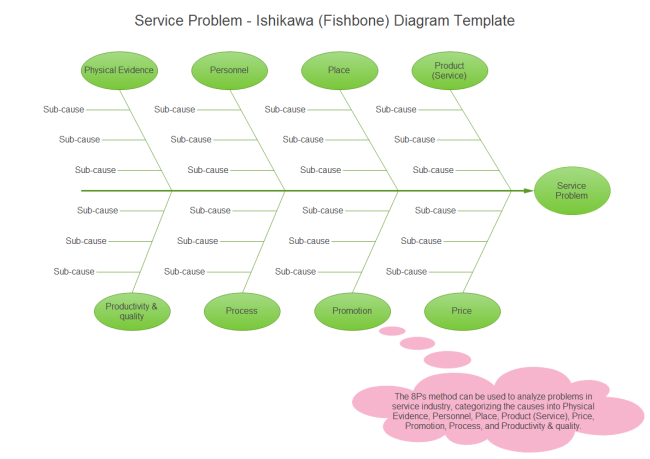 Quickly get a head-start when creating your own service problem ishikawa diagram. Here is a simple service problem ishikawa diagram example created by Edraw Max, which is available in different formats. Fishbone diagram template sharing community allows anyone to share your great fishbone diagrams with others. Meanwhile, you can also download any fishbone diagram you need freely. All templates are available to edit and redesign to the way you want.